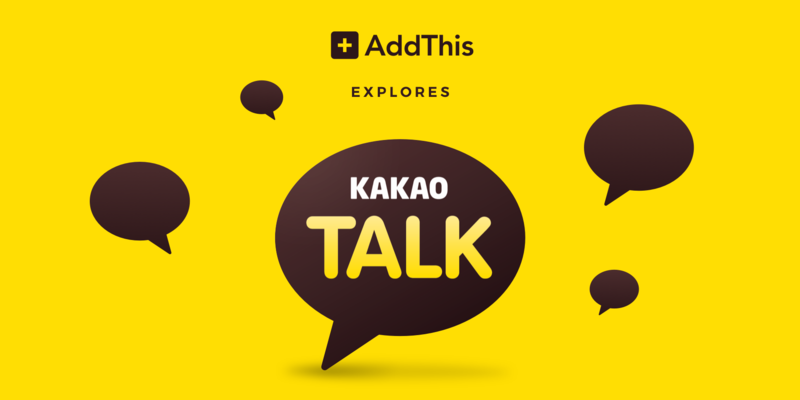 KakaoTalk – No more a smartphone application! KakaoTalk for PC is now available. KakaoTalk also known as Ka Talk that is Asia based mobile messaging application marketed as a freeware mobile instant messaging application that was developed by Kakao Corporation, a South Korean internet company that was formed after the merger of Daum Communications and Kakao in 2014; formerly named as Daum Kakao later changing its name to Kakao. KakaoTalk was launched on 18th March 2010; initially developed as a freeware smartphone instant messaging client, which later extended its offerings for different devices such as personal computers, desktops, tablets, etc. and different operating systems such as Apple IOS, Mac IOS, Android, Bada OS, Blackberry, Windows Phone, Windows NT and Nokia Asha. KakaoTalk has made communication and keeping in touch with our loved ones easier by becoming available on different platforms such as the introduction of KakaoTalk for PC. KakaoTalk for PC is available for Windows and Mac OS. Options to download KakaoTalk are readily available in the internet that can be used for windows. Installing KakaoTalk is the first option, which will be done with the help of a setup wizard. Once the installation process is done, the users KakaoTalk Account must be logged in and the user’s PC must be registered in order to be recognized with the user KakaoTalk Account. For the registration and recognition purpose, a keycode will be send to the user’s registered mobile number, which must be entered on the PC for registering and recognizing the KakaoTalk Account. The KakaoTalk account can be registered in a similar fashion using KakaoTalk for PC using Mac OS. KakaoTalk could be downloaded from the Mac OS Application Store and after the downloading of KakaoTalk a profile needs to be logged in or registration in case of no prior profile. After logging in by entering the login details the PC must be registered in order to be recognized by the KakaoTalk Application. Hence, the download, installation, logging in and registration methods are almost similar for KakaoTalk for PC on both Windows as well as Mac OS. Casually KakaoTalk could be used on mobile, but once a person is on work trips, office or meetings, communication with contacts, friends and family is easily possible on KakaoTalk for PC. KakaoTalk for PC offers customization offers that are available on KakaoTalk for smartphone as well, such as, change of style, background image, opacity level, fonts, etc. Moreover, 3 tabs are available on KakaoTalk for PC. The Friends tab lets the user view the list of contacts on KakaoTalk and also provides options to search for friends and add them. The chat tab allows the user to chat with any of the KakaoTalk contacts and it also has options to share multimedia such as photos, audios, videos, GIFs, documents, etc. to the contacts during the chats. The third tab is the tab that is named as More, which provides the option for the user to view their KakaoTalk profile. Moreover, the More tab consists of several settings, shortcuts and much more. KakaoTalk is available in 15 languages and is used in over 130 countries of the world. KakaoTalk is the first messenger to acquire ISO 27001 certification in the world. KakaoTalk is widely used in Korea, with a mobile download statistics of 95 percent and usage statistics of 93 percent in Korea, mainly South Korea. With this being said, KakaoTalk had 220 registered users from worldwide by the mid of 2017, out of which 140 million registered users were from Korea alone. Presently, KakaoTalk has more than 50 million active users worldwide. Extending its compatibility to increase it user stats, KakaoTalk not only made its application compatible to different devices and operating systems but also started expanding its offerings. Beginning with a free text and free call messenger service, KakaoTalk expended its options and offerings by including features that enables the users to share photos, audios, videos, voice messages, contact information, location, location details, stickers, emoticons, GIFs, animated emoticons, URLs and navigation services as well as well as other kinds of content. Besides, offering options for conference call and group chats all along. Specifically for South Korea, KakaoTalk introduced a payment option for South Korean users with the name of KakaoPay that could be used for mobile payments as a digital wallet service. Moreover, KakaoTalk also offers riding and carpool services with Korea only for Korean users. KakaoTalk enables its users who use KakaoTalk for Windows be able to communicate to everyone and anyone for free via text messages, calls or by using other means of medias such as audios, videos, photos, animations, locations, World Wide Web links, etc. However, KakaoTalk can only be used when the people communicating have the KakaoTalk application installed and available. The two or more people communicating must have KakaoTalk installed, which means both the users who intend to communicate for free must have KakaoTalk downloaded and installed in their smartphones, desktops using whatever operating system. KakaoTalk application is widely available on the internet in general and on different operating system stores for free. The registration process for KakaoTalk is simple. Registration for KakaoTalk for Windows is the same as the registration process for KakaoTalk for smartphones. KakaoTalk for Windows has already offered an option that allow users to show their expressions via free text messaging by sending emoticons and animated emoticons. KakaoTalk for PC is now becoming a popular and free mobile instant messaging application with its usage in more than 130 countries of the world dude to its multi language functioning and availability of the KakaoTalk Application in 15 different languages. KakaoTalk has already taken over a major chunk of the a free mobile instant messaging application market in Asia and is gradually taking over other parts of the world with 220 million registered users and currently more than 50 million users actively using KakaoTalk as a free mobile instant messaging application. KakaoTalk has expended from just being a free mobile instant messaging application to an entire social media with multiple service offerings also being available on PC.